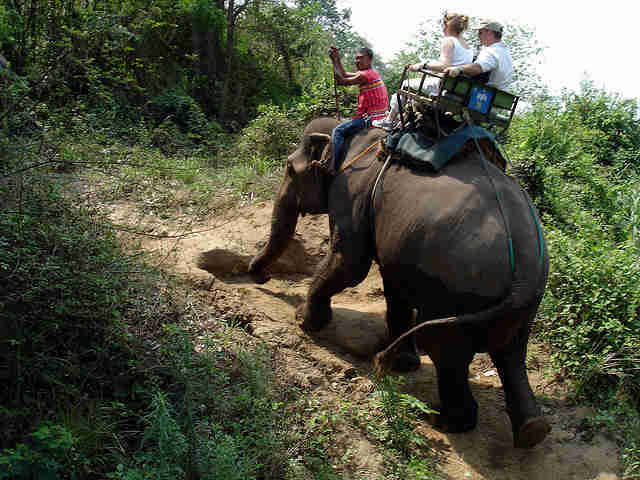 Tourists, beware: Riding elephants isn't fun for the animals, and it could even kill them. Bowing under the weight of a group of sightseers in Vietnam, a 40-year-old male elephant collapsed and died Sunday, Viet Nam News reported. The cause of death was reportedly "overwork," though no official autopsy was conducted. In the wild Asian elephants can live up to 60 years old or more. This is the second high-profile elephant death in the same region lately: In January, a 36-year-old "tamed" elephant was found dead, reportedly from exhaustion. There are some 50 trained elephants working in this particular tourist region in southern Vietnam, and travelers there pay to be ferried around on the pachyderms' backs. 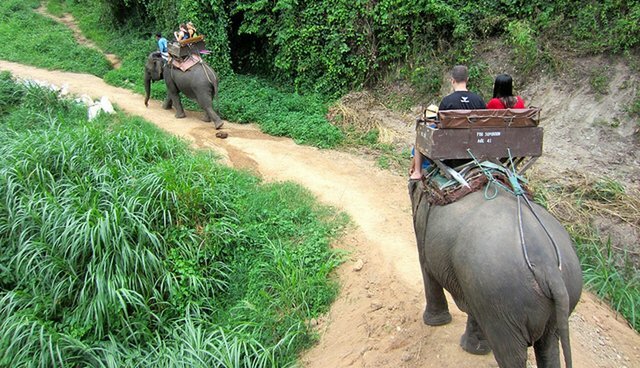 Elephant riding, long a popular attraction for tourists in Southeast Asia, in recent years has come under fire for a long list of animal welfare problems. The industry often takes young calves from their herds in the wild and subjects them to a painful "breaking" process in which they are beaten until they obey their handlers. Working elephants can become overheated and dehydrated in the hot sun, and are often kept in cramped conditions with little rest when they're not working. What's more, captors often have to kill adult elephants to get to the babies, causing the loss of even more elephants for a species that has already lost up to 90 percent of its individuals in the past 100 years mainly due to hunting and habitat loss. See this page for more information about elephant rides, and this database for attractions designed to help elephants - not hurt them.